To hear some pundits describe it, the upcoming Supreme Court ruling on the Affordable Care Act (ACA) is important because of its implications for the presidential election this fall. But for many small business owners, it’s a matter of treating workers fairly and doing right by their community. Business owners from Florida to Illinois to Colorado say the Affordable Care Act is working now – helping to stabilize their healthcare costs and create healthy workplaces. Main Street Alliance, a nationwide coalition of small business owners, included many provisions of ACA in their plan for making it on Main Street. A recent survey conducted by Small Business Majority found just 1/3 of small business owners actually want the ACA overturned; 50% would rather see it upheld with minor or no changes. 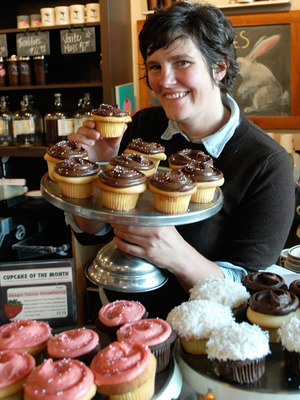 A great number of business owners wholeheartedly support the ACA because they recognize the economic value in extending healthcare coverage to their workers – people like Jody Hall, founder of Seattle’s wildly successful first cupcake bakery, Cupcake Royale.